Over the past ten years, Korea has perfected a fruitful system for producing top-flight pop stars. Now, as K-pop focuses its careful aim on the American market, that same formula appears to be just as ripe for export. Jo, a Seoul native and overseas business representative for YG, might be referring to the intense high school curriculum that all Korean youths are expected to complete before entering university (YG claims to make educational arrangements for the teens whom they board and train). But as we make our way to the basement cafeteria, Jo swings open the doors to two dance studios: The first is dark, save for the smartphone flicker of someone whose mid-morning nap we’ve just interrupted. In the second, a young girl in a gray Gap T-shirt and black tights is crouched, dropping in her contact lenses as she prepares for an afternoon class in song composition. She smiles and bows, and when I ask Jo why the girl is here rather than in school, the question is misunderstood and met with a giggle: “Hopefully, she is getting popular.” That’s the plan. It is, by design, music that demands to be mainlined: Hooks come sharper, choruses larger, visuals brighter, the shine of its often mutated sonics far more intense than that of its Western source material. Elements of disco, hip-hop, house, techno, R&B, rock, and dubstep sound as though they’ve been broken down at the atomic level, then built back up again, into an elevated form of pop that’s also free of the sexual innuendo or striptease that eventually came to define American pop of the late ’90s circa Britney. Any barrier that language might provide has also been bulldozed. Verses are delivered in Korean, choruses in graphic-tee English, for maximum impact, a refraction of time-tested formulas, made all the more vivid in practice. The training ideology itself is a tweaked interpretation of the one first put to use by Johnny & Associates, a dominant force in Japanese pop (J-pop) since it rose to global prominence in the ’80s. It’s also the latest development in a phenomenon called hallyu, a Chinese term for the rising “Korean wave” of cultural exports throughout Asia that began with television dramas in the ’90s and has been shot into hyperdrive by a continent thirsty for both material goods and high-speed connectivity. “The way I felt watching Chinese, Korean, and Japanese music videos ten years ago in China,” says Dr. Charles Armstrong of Columbia’s Center for Korean Research, “is that Koreans were the most Americanized. They understood the idioms of popular culture and music and dance. For much of the rest of Asia, South Korea is sort of their dream of the future: a more modernized, Westernized society.” What’s most uniquely Korean about K-pop, however, is the aggressive manner in which it’s surging across borders in all directions. Because local markets for American and Japanese artists are so large, artists can remain at home and enjoy hugely successful, prolific careers. Koreans are exporting K-pop simply because their local market is too small to satisfy or contain it. And just like Justin Bieber’s “Beliebers,” a hyperactive, devout community of online K-pop fans known as “Netizens” has been cultivated to provide the social media numbers that keep bands/brands trending worldwide. Digital service comprises 80 percent of the music industry in Korea, the world’s highest share. From top to bottom, YG Entertainment’s office, a postmodern hunk of glass and dimpled concrete, is designed to both manufacture and maintain a carefully calibrated, highly controlled stream of pop product. 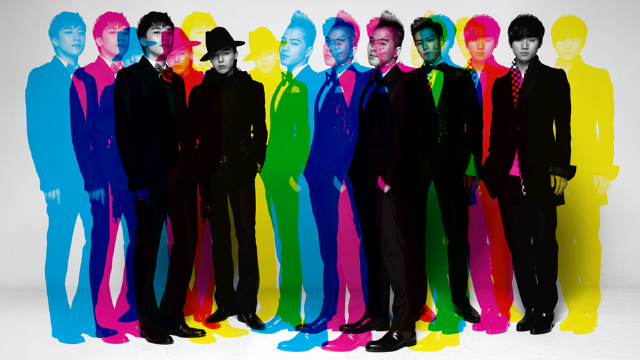 Up top, you’ve got an off-limits floor for founder Yang Hyun-Suk, former member of ’90s R&B legends Seo Taiji & Boys. Just below that you’ll find offices devoted to expanding the company’s vast international audition network. Walk down a few flights and you’re met with an assortment of plush recording studios, available to producers both in-house and imported. There’s a fully outfitted gym manned by a celebrity fitness guru. The cafeteria serves home-style Korean fare and boutique coffee until late in the night. And of course, there are those practice spaces built for students who are recruited from all over (including America), all of whom are major investments immersed in a specialized curriculum of dance, voice, composition, and foreign language, meant to prepare each trainee for a career not just at home in Korea, but across continents. Nowhere are the fruits of K-pop’s training more apparent than onstage. It’s the middle of a Saturday afternoon and throngs of schoolgirls are shrugging off frigid temperatures outside the aging Olympic Gymnastics Arena, one part of the massive Olympic Park complex built for the 1988 Summer Games. Tonight, YG is rolling out its entire roster in celebration of 15 years’ worth of hits. They’ve gone to great lengths to create a festival atmosphere within the Park’s stone plaza, assembling a small village of tents and official merchandise counters (not to be confused with the many bootleggers hawking candy-colored binoculars, glow bands, and luminous, group-specific wands between here and the subway station). The smell of ketchup and fried animal fat is thick in the air, fumes spiraling out from a ring of kiosks serving Korean sausages and lollipops of battered pork. To the left, check your cameras and recording devices — none are allowed inside the arena. Next door, a tent is promoting SOUL, the Ludacris-endorsed line of headphones. And across the way, there’s an information booth set up specifically for the Japanese fans who have flown in for the event; its line is the longest. In 2011, no foreign fans have embraced K-pop more enthusiastically than the Japanese. If all these acts weren’t performing together this weekend, they’d likely be making short, strategic tours through Japan, a market whose size exceeds Korea’s several times over. For two countries with such a complicated and difficult cultural history, the exchanges between fans here are pure: Kids bow and smile, gesturing nervously to the handmade sign each has brought along and dedicated to the idol of their choice. When this same show comes to Saitama Super Arena outside of Tokyo a month later, over 200,000 fans will attend. Inside, just after dusk, ushers and security types wearing dark suits are in place to both police (again, no cameras or smartphones shall be hoisted during the performance) and ferry everyone to and from their assigned, segmented, surprisingly spacious floor sections. A few minutes after 6 p.m., the house lights die and a sheet of low-end noise starts to rattle the room. Then out they come, four leather-clad nymphs, flanked and framed by ten-foot flames. Air horns. Lasers. High-definition everything. A blast of heat and light as two massive, inflatable playing cards — an ace of spades, a queen of hearts, blackjack! — drop to the stage like sails. The song is “Fire,” a synapse-slapping debut single from way back in 2009, the one that gave South Korea reason to memorize the names and faces of CL, Minzy, Dara, and Bom, the women of 2NE1. After stepping aside briefly for a cameo by Bigbang (K-pop boy-band royalty), the foursome plow through “Can’t Nobody” and “Go Away,” two more early numbers for all the diehards (they call themselves Blackjacks). Though 2NE1 are the young guns on the bill, they seem like frontrunners in a race to find serious footing in the American market. They’re of a rare species: the “girl group” with growl, a versatile, outwardly independent outfit just as comfortable breaking hearts as they are playing the heartbroken. Yet even to a casual observer of turn-of-the-century American teen pop, the algorithms at work tonight are crystalline: Bigbang borrow from ‘N Sync and Se7en channels Michael Jackson by way of Usher; 2NE1 bow at the altar of TLC and Gummy to Mariah Carey; Jinu, one half of pioneering Korean hip-hop duo Jinusean, lets loose with a “J-J-J-Jinusean” in the key of G-Unit between each of their songs. 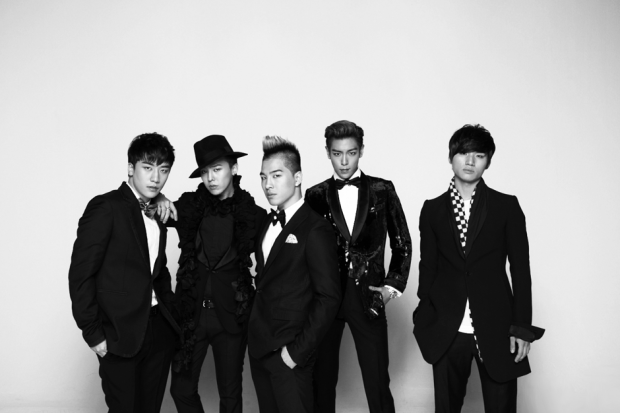 Tonight belongs to the guys in Bigbang. Since frontman G-Dragon went into hiding in 2011 after the rare K-pop scandal (he tested positive for smoking marijuana but was never charged), this performance marks a triumphant onstage reunion for the group. They seem up for it; you can feel it in their gravitational pull. They move more like moussed-up panthers or professional athletes than pop stars. When G-Dragon’s childhood friend and fellow rapper-singer T.O.P approaches, it’s as if the city’s been tipped on its side for 30 seconds. Your once laconic, germaphobic neighbors hurtle and squeeze into one corner of the section like a pile of giggling carp along a catwalk, mouths agape, eyes wild, hearts doing weird things inside their chests. T.O.P swivels and smirks, as if to puckishly half-acknowledge the frisson at his feet. He probably took a class on this. A beat drops, your eyes water. A hook arrives, you laugh to breathe. Kids are running in place, clutching their faces, screaming in so many different frequencies that the sum resembles what it must sound like if someone could roll down the window on a 737 six miles up. A few days after their single “Be My Baby” earns the top spot for a second consecutive week on the TV chart show Inkigayo, Wonder Girls attempt to record something different: a song in Chinese. Two gentlemen stand sentinel on either side of the soundproof door to JYP Entertainment’s in-house studio, a few inches away from crusty cubicles. Errant chunks of unprocessed Chinese-language vocals escape each time the door opens, but not much else. Every room in this cramped office space in Gangnam-gu, the Seoul financial district on the southern bank of the Han, features an amber plastic placard on the wall. It’s to help remind employees of the “JYP working style” — what’s expected of the company’s artists, three dozen trainees, and employees, like international PR manager Mei Han. 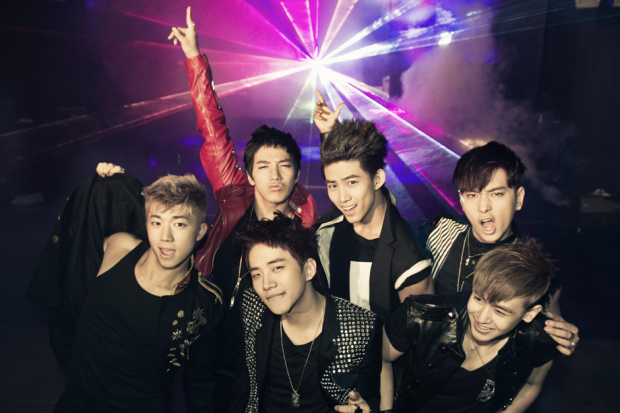 Nichkhun is a member of wildly popular boy band 2PM. He is also a symbolic wrinkle in the formula. Born in Southern California to a Thai-Chinese family, Nichkhun was discovered in 2006 by JYP during a Korean music festival in L.A. According to Han, the infamously charming Nichkhun had appeared only to help a friend who was set to perform that day. When he received an offer to come train for pop stardom in Seoul, he showed little interest. Then his grandmother, a huge fan of onetime K-pop star and JYP signee Rain, insisted he go. Today, he’s fluent in five languages, and according to Bernie Cho, has completely altered the way Koreans view Thailand. “I never thought I’d see a Thai kid in a K-pop band,” Cho says, laughing. “But Nichkhun has shattered the misconceptions Koreans may have had about Thailand: It’s gone from mysterious to fabulous.” Though he’s inescapable on Korean television, he’s also something of a hero in Thailand, where he was recently named an ambassador to the Tourism Authority, an honor that also brought with it a single and beach-based music video titled “Let’s Take a Break.” Nichkhun has beguiled the Thai market so successfully that his path has become a model for gaining entree to foreign markets. Han is only willing to disclose that this young, would-be “Post-Nichkhun” is as magnetic as his namesake. I’m in a cab headed 45 minutes southeast of Seoul with S.M. Entertainment’s strategy and planning rep Sean Saw. There, the nine members of Girls’ Generation are holed up in two hangar-sized studios, shooting a commercial for the online game Freestyle Street Basketball. Saw, a Seoul native who is also a former classmate of T-Pain’s at James S. Rickards High School in Tallahassee, Florida, had requested I send questions in advance for the girls; one of the queries (“How much of what Girls’ Generation do could be considered distinctly Korean?”) was rejected for fear that its response might obscure the cultural singularity of S.M.’s product. Girls’ Generation, Saw tries to explain, is more S.M. than Korean. As we drive, Saw begins detailing the 2012 debut of a yet-to-be named, 12-member boy band that’s evenly split between Korean and Chinese members, allowing S.M. to launch a new brand in two markets simultaneously. When it’s time to tour, the Chinese members will fulfill dates in their native country while their Korean bandmates will perform at home, coming together only for special performances. It’s a more focused extension of the success that S.M. had with their highly malleable boy band, Super Junior, whose 13-member roster (now down to just nine) seems designed to be broken apart into whichever permutation the occasion might require. At the moment, Saw says, the new Korean-Chinese group has already amassed an inordinate number of eager online followers. That “style” has been in constant development since the mid-1990s, when founder and chairman Lee Soo Man introduced early Korean boy band H.O.T. In business terms, S.M. has been leading the pack ever since. In 2002, BoA, an S.M. solo act, became the first Korean artist to top the Japan-based Oricon chart (a less-reliable version of Billboard, originated in 1967 by a company called Original Confidence Inc.). That broke down the door for future K-pop idols in Japan, a feat that’s paid dividends all around. In the past ten years, BoA has topped that same chart six consecutive times. Walking into the film studio, we’re swiftly met by Girls’ Generation’s squadron of handlers. Yoona, a Korean-born member of the group, makes her way through a series of crane shots and close-ups along a thick strip of black gravel poured and combed across the width of the studio. Everyone else in the room is bundled up and huddled next to industrial space heaters. As she begins jogging from end to end, all arms and legs and milky right angles, Saw suggests we duck into a dressing-room area. The craft service is a marketing statement in its own right: bouquets of pink balloons and pink roses, pink ribbons and diamonds, pink lemonade and cupcakes and tarts and macaroons. We’re waiting on another member, Tiffany, a 22-year-old Southern Californian who entered the S.M. training program in 2004. She clip-clops into the room on a pair of Adidas high-top wedges, half-asleep until the second she realizes that there’s another American in the room. “I’m so at peace with myself when I can speak English,” she purrs. Despite the protests of her family, she came to Seoul alone when she was 15 in hopes of bypassing the general xenophobia that Asian performers confront in the States. “I thought they’d move here by now,” she says of her parents with a sigh. “It’s weird…but they just really love California. Once I got here, I had all these regrets about leaving. I didn’t even go to prom!” But Tiffany is only a few years away from the end of her contract with S.M., at which point she’d like to parlay her training and experience into a career as a singer or actress in the States. According to Saw, each of S.M.’s 20 to 30 trainees costs $100,000 a year, for anywhere between three and seven years. As is the case with the majority of these systems, once artists have been selected to “debut” as part of a boy group or girl group, they’re offered a contract, or, as Saw phrases it, “partnership,” that can last as long as 15 years. Boy bands in particular pose difficult challenges: Between the ages of 18 and 27, all Korean males must fulfill a two-year military requirement, no small impediment to sales. “They’re not just singers or dancers,” says Yuen. “Their system develops a holistic entertainer in all aspects: singing, dancing, acting, presentation, all of it.” Both the volume of the kids’ obligations (this could include any number of product endorsements conceived before they even debut) and the length of the contractual agreements have caused some Koreans to bandy about the term “slave contracts,” which has forced artists to publicly denounce allegations of exploitation just as adamantly as they protest charges of plastic surgery. In 2004, a Seattle B-boy named Jay Park auditioned for JYP at the behest of his mother. At the time, Park didn’t know anything about K-pop or Korean culture, but after acing the tryout and receiving an offer to train in Seoul, he shipped off before his last semester of high school. In late 2009, when an unusually thorough fan tracked down a MySpace comment Park had left on a friend’s profile years before as a frustrated, homesick trainee (“korea is gay…i hate koreans…”), the ensuing scandal caused him to leave his band and Korea in shame. Tearful fans saw him off at Incheon Airport. He moved in with his folks and worked in a tire shop, happy to be back home break-dancing with his friends. Then something extraordinary happened: In 2010, Park posted video he shot of himself covering B.o.B’s “Nothin’ on You” to YouTube. In two days, the clip garnered two million views and vaulted the original back into iTunes’ top downloaded tracks chart. It also landed Park back in Seoul, where, after appearing in a Korean breakdancing movie, he signed a contract with the lesser-known management company SidusHQ and is performing again —as a solo artist. He’s since issued public apologies to both his former bandmates and JYP, whom he credited with helping “raise” him both “physically and spiritually.” Three days after Christmas, Park released his first solo album in South Korea, a slab of R&B balladry that he wrote entirely on his own. It’s a Monday night in Times Square. Buddhist monks in Birkenstocks glide past German tourists, all of whom keep a safe distance from the small slice of nuttiness over at the Best Buy Theater. Tonight, MTV Iggy will crown 2NE1 as winners of their Best New Band award, a competition that was restricted to international acts. The screaming, a slightly softer relative of what I’d heard a few days earlier in Seoul, is coming from Blackjacks. They’re everywhere, hoping to catch a glimpse of the girls as they appear for the first time on American soil. Entire Korean-American families have made their way into the theater. Fathers hold zoom lenses steady, mothers transform glow bands into makeshift tambourines, sons and daughters do their best to contain themselves. Throughout the telecast, you get the sense that this is a translation of a translation. Every runner-up performer that precedes 2NE1 feels like one more hurdle in between. Every interstitial breather, every baffling Matt Pinfield-ism and Sway-ism, every interview segment with anyone but 2NE1 brings on more sighing and fidgeting. But there they are, outside on the street, saying hello. Cameras follow them as they enter the theater, the four of them caramelizing the air around them with every step. The room jitters and heaves. Clusters of digital cameras begin bobbing up and down from front to back, ready for the moment when the group finally steps into view. And then they do. This article originally appeared in the March/April 2012 issue of SPIN.